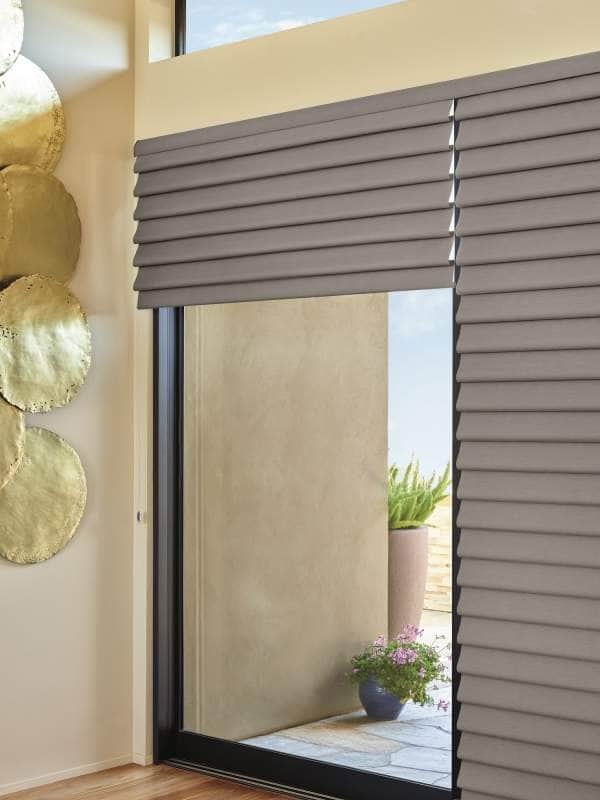 Vignette® Modern Roman Shades offer an updated look on a traditional product. The clean, crisp look and contemporary styling works for almost any window. 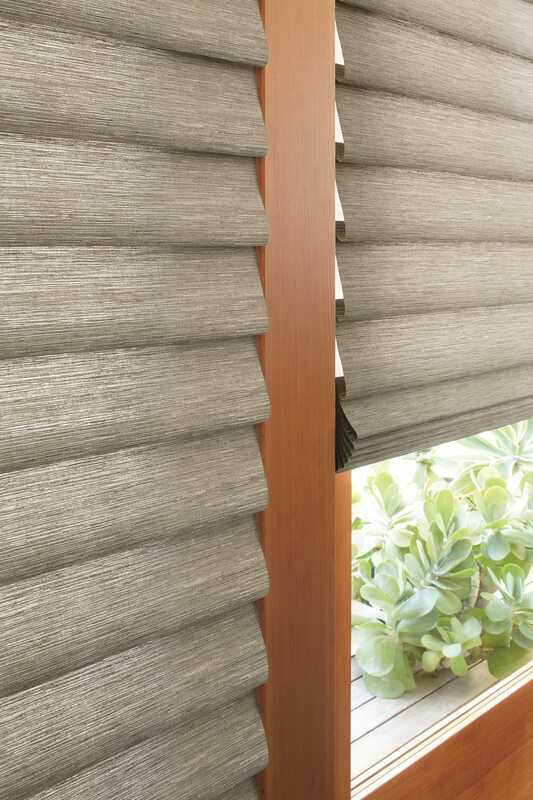 Vignette® shades roll or stack with no exposed rear cords for a clean exterior appearance and enhanced child safety. All options are created from the same fabrics for ultimate coordination, and are offered in semi-sheer, light-filtering, and room-darkening fabrics. New for 2018, Vignette® shades are available with a DuoLite® option that allows two opacities in a single shade. 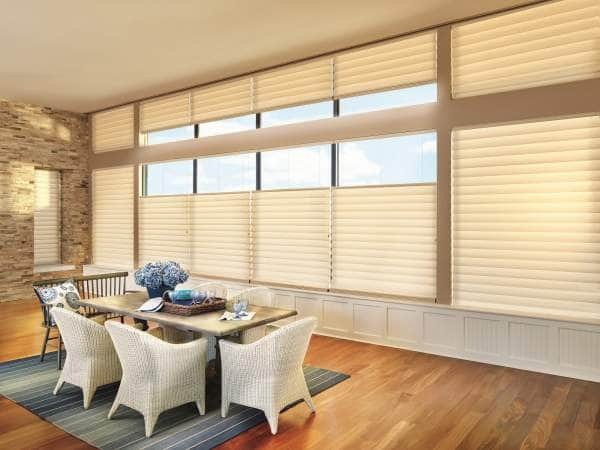 The Duolite® combines a light-filtering or sheer front shade with a built-in room-darkening back panel, both on the same roller. Choose from several lifting systems, including motorization. 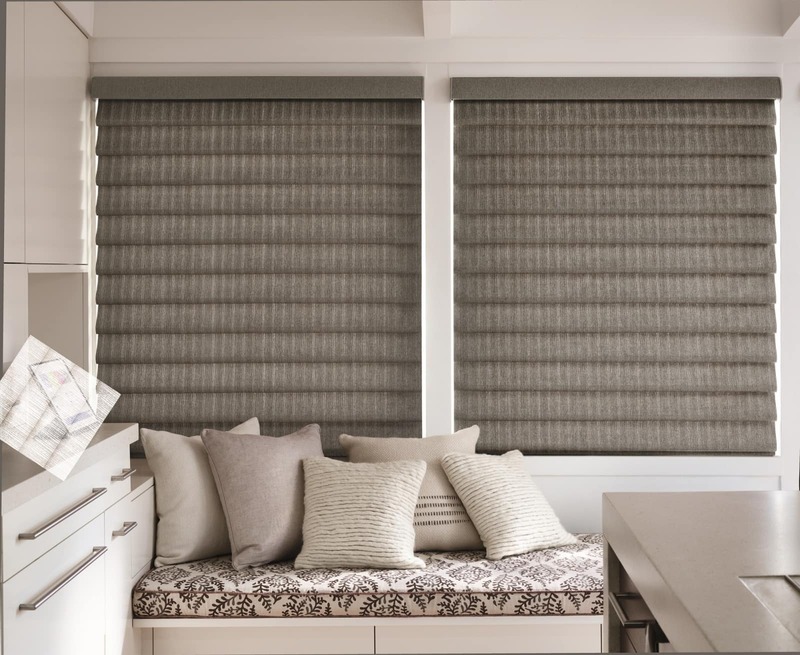 Additionally, as a Hunter Douglas Gallery Dealer, Victor Shade is able to offer you the Vignette® Alustra® Collection, which contains special fabric and color options not available to every dealer.